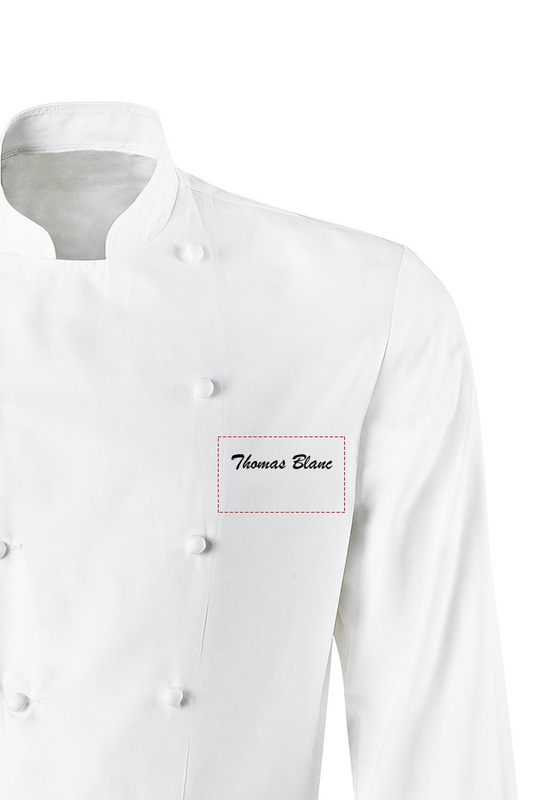 Chef jacket. 1 chest pocket. Short sleeves. Press stud fastening. Comfort pleat in the back with Energy mesh of contrast tone. Side slits. Registered design. Length 78cm.